Madeline is a reporter for WUFT News who can be reached at 301-768-8614 or mharlow@ufl.edu. 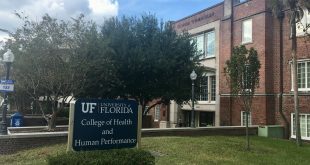 The University of Florida will accept its last undergraduate athletic training students in summer 2019, as it terminates the Bachelor of Science in Athletic Training program. The Department of Applied Physiology & Kinesiology in the College of Health & Human Performance is transitioning to a post-professional clinical doctoral degree. 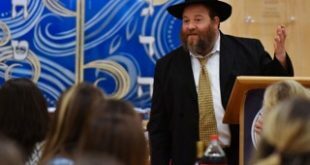 Local Jewish organizations and law enforcement have held several meetings to prepare for white nationalist Richard Spencer's Oct. 19 visit to the University of Florida. 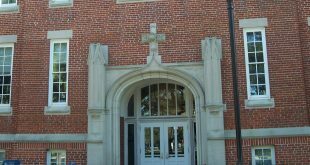 The University of Florida administration created an emergency relief fund to aid students, staff and faculty following the tremendous impact of Hurricane Irma. 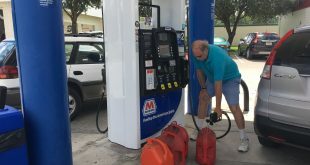 Alachua County residents and other drivers throughout Florida are still struggling to find fuel for their cars as gas shortages continue.